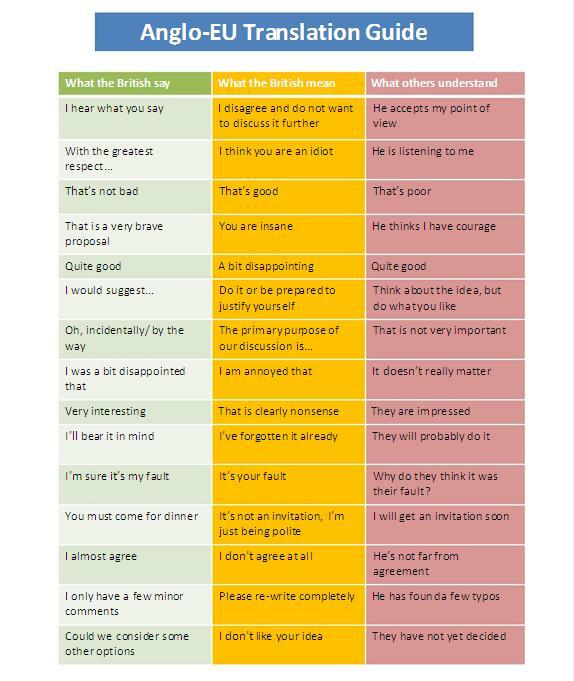 Having worked with the British most of my career, I could have used this translation guide a lot sooner. The confusion across the channel is just the same across the Atlantic. In conclusion, it seems that I’ve been always overly optimistic working with the British (haha). Posted in People & Culture, Travel and tagged British, English Language, Translation. Bookmark the permalink.